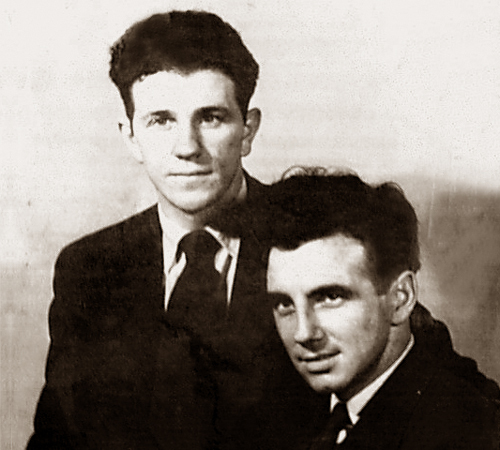 Tom and Paddy Clancy arrive in Greenwich Village, New York City. Both pursue acting careers, and establish their own production company, "Trio Productions". American song-collector Diane Hamilton goes to Ireland in search of songs and tunes. 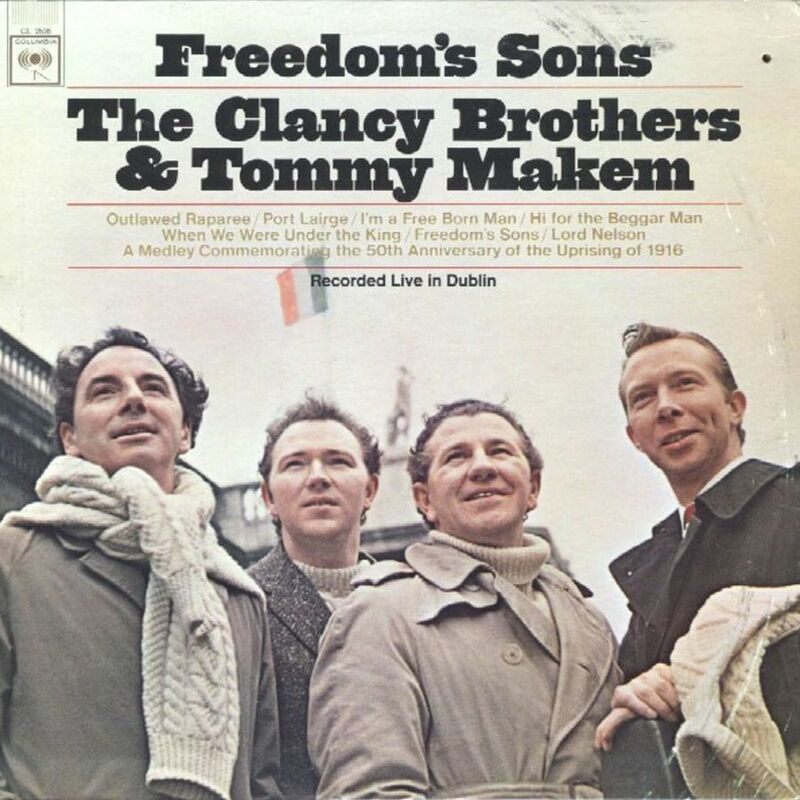 Paddy and Tom send Hamilton to the Clancy family home, in County Tipperary, where she meets Liam Clancy. As she continues her journey to the north, Liam joins her and they arrived in the town of Keady, County Armagh, where Liam meets Tommy Makem. At the end of the year, Tommy Makem emigrates to the United States, arriving first in Dover, New Hampshire. In January, Liam Clancy emigrates to New York city. Liam and Tommy Makem both pursue acting careers. Paddy Clancy forms Tradition records, with the financial backing of Diane Hamilton. Among the first releases by Tradition is the Lark in the Morning, containing material recorded during Diane Hamilton's 1955 trip to Ireland. Tommy Makem moves to New York City after crushing his hand in a Mill accident. At Tommy's urging, Paddy Clancy agrees to record an album of Irish rebel songs, The Rising of the Moon. This is first album to feature Paddy, Tom & Liam Clancy and Tommy Makem. Over the next three years, Tom and Liam Clancy, as well as Tommy Makem, continue with their acting endeavors. 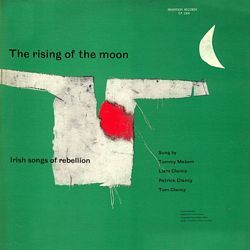 While Paddy Clancy's main focus is running Tradition records, releasing over 25, very diverse, recordings between 1956 and 1958. The Clancys and Tommy Makem continue to sing together, primarily in non-professional and informal settings. The Clancys and Tommy Makem release their second album, more polished album, Come Fill Your Glass with Us — a collection of Irish drinking songs. This leads to professional gigs in New York, Chicago and into Boston. Without an official name for the group, a club owner billed them as "The Clancy Brothers and Tommy Makem" on the marquee. The group decides to try singing full time for six months. If they can't make a go of it, they will return to acting. 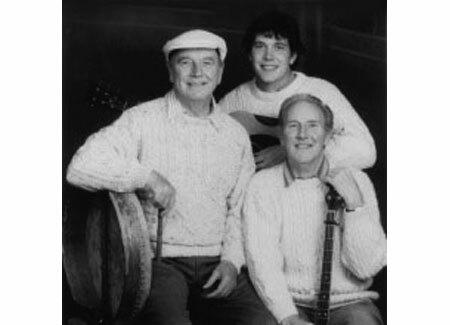 On March 12, the Clancy Brothers and Tommy Makem appear on The Ed Sullivan Show. Evidently, another act failed to show up, and CBTM perform live for a record breaking 16 minutes, on arguably, the most popular American Television show of the time. This appearance leads to the group being signed by Columbia records. Their first recording for Columbia is a self-tilted album, also know as, A Spontaneous Performance Recording, featuring Pete Seeger on banjo. This recording is nominated for a Grammy — as best folk album of the year. By the end of year, the group releases their final LP on Tradition label, also a self-titled album. Between 1961-1969, CBTM release approximately two albums a year for Columbia Records. Popular Irish radio personality, Ciarán MacMathuna, visits America. MacMathuna hears of the group, brings CBTM albums back home to Ireland and plays them on his radio show. The group, virtually unknown in Ireland at the time, become "famous" in their our country. World-wide fame follows. 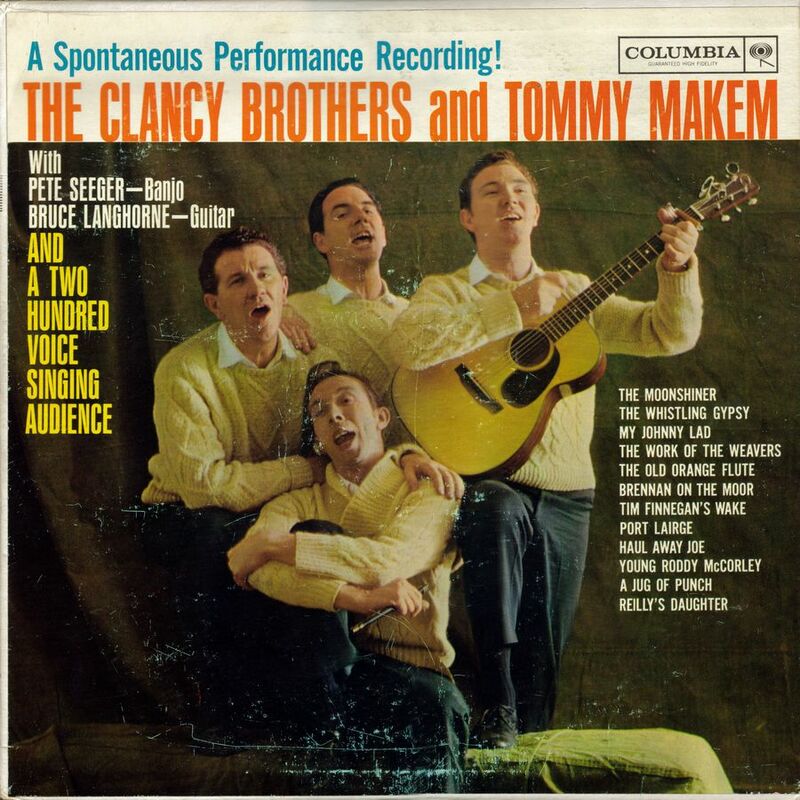 In late 1962, the Clancy Brothers and Tommy Makem make their first, sold-out tour of Ireland. CBTM perform on television in front of President John F. Kennedy. CBTM take part in the 50th Anniversary of the 1916 Easter Rising: appearing on Columbia's commemorative album, The Irish Uprising; and with the release of the Freedom's Sons LP and concert appearances in Dublin. The Clancys sell Tradition records to Bernard Solomon at Everest Records. After the Clancys signed with Columbia, Tradition virtually stopped releasing new material. 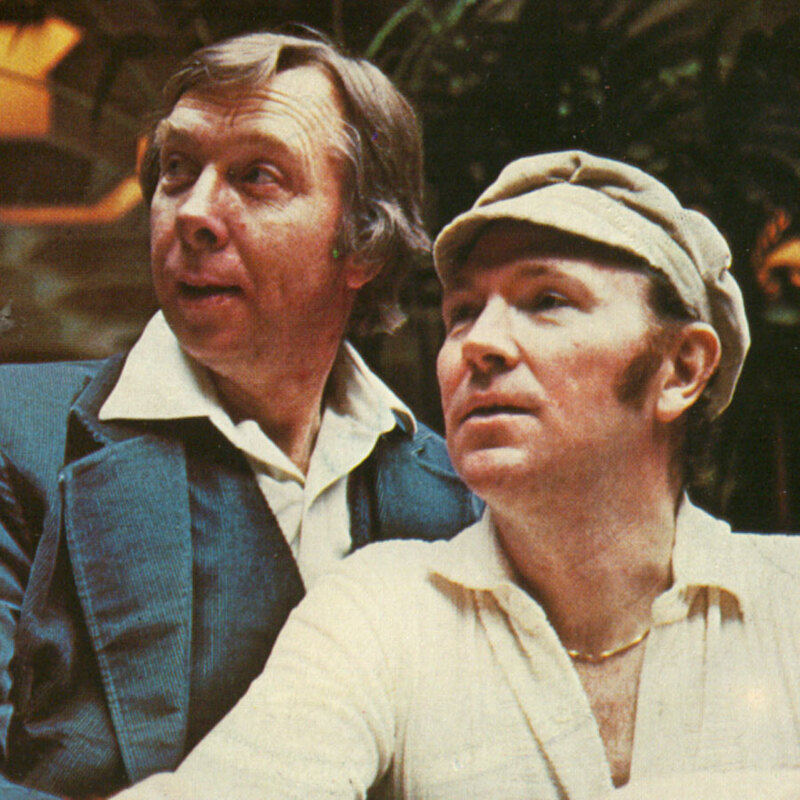 Liam Clancy would later go on record as regretting the sale of Tradition. Tommy Makem gives the Clancys one year's notice that he's leaving the group. CBTM record and release two more album's before Tommy's departure. Tommy Makem leaves the group in April 1969 to pursue a solo career. Bobby Clancy, the brother who'd stayed in Ireland to run the family insurance business, becomes Tommy Makem's first replacement. In addition, Finbar and Eddie Furey join and "the Clancy Brothers" tour as a six piece group for a year and a half. Eddie and Furey play on the first 2 Columbia albums   with Bobby, but go un-credited on the LPs. The Clancy Brothers Christmas is released. Flowers in the Valley is released and marks the groups' final album for Columbia Records. The Clancys (Paddy, Tom, Liam & Bobby) record one more album, Welcome to Our House on the Audio Fidelity label. By the end of the year, Bobby leaves the group, apparently, after an argument with Liam. Following Bobby Clancy's departure, Geordie singer, Louis Killen joins the Clancys. Louis had been a mainstay in the British Folk revival since the early 60's. 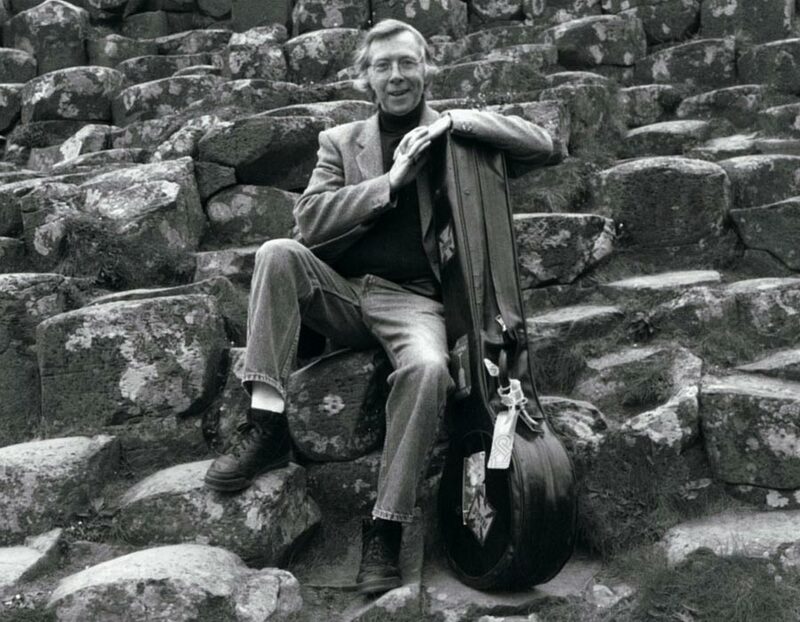 Louis played concertina on CBTM albums "Home Boys Home" and "Sing of the Sea" and while Louis did play the banjo, his primary instrument is concertina (as well as tin whistle & spoons). The Clancys with Louis Killen tour together for 3 years. The Clancys with Louis Killen release 2 albums; Show Me The Way & Save The Land. Live On St. Patrick's Day and Greatest Hits are released. The group films a TV special for Brockton television. Bobby Clancy makes a surprise appearance towards the end of the concert and joins his brothers and Louis on stage for "the Mountain Tay". Both Liam and Louis both leave the group. 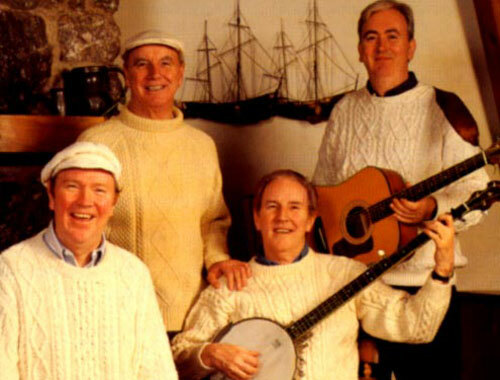 Makem & Clancy & the reformed "Clancy Brothers"
After a 3-year dormant period, the group is reformed with Pat, Tom, Bobby and their nephew Robbie O'Connell. This line-up remains until Tom's death in 1990. This group only tours in the US for about two to three months a year. 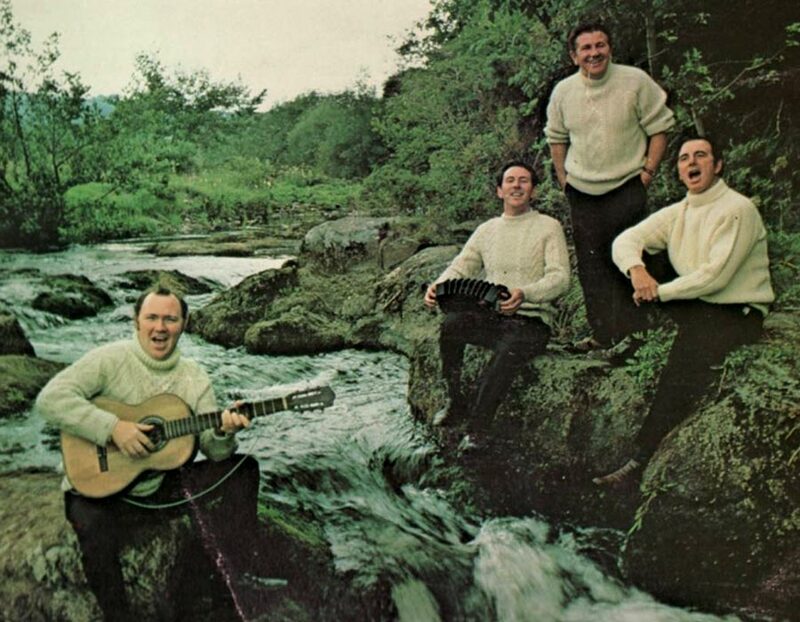 The Clancy Brothers (with Robbie O'Connell) release Live, their first album in 8 years. 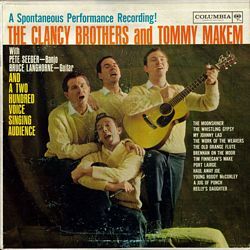 The original group Paddy, Tom, Liam and Tommy Makem are the subject of a documentary, the Story of The Clancy Brothers and Tommy Makem, produced by their old friend, David Hammond. On April 28th CBTM appear on Ireland's Late Late Show. CBTM perform their long awaited reunion concert on May 20th, at the Lincoln Center — the tickets sell out within a week of going on sale. Reunion, a LP for from the Lincoln center concert is released. CBTM perform a concert at the Ulster Hall in Belfast, which is filmed. This video, Reunion Concert at the Ulster Hall, Belfast, is released in 1991. CBTM continue to tour through the fall of the year. After that, to my knowledge, the original group never performs together again. Tom & Paddy with Bobby and Robbie O'Connell resume touring; as do Makem & Clancy. Tunes 'n' Tales of Ireland is released, arguably "The Clancy Brothers" worst album. 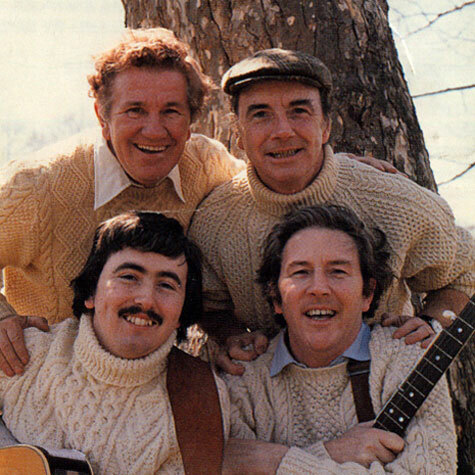 All four Clancy Brothers reunite to appear in The BBC/RTE documentary "Bringing it all back Home: The Influence of Irish Music in America". Tommy Makem also appears in separate segments. In May, Tom Clancy is diagnosed with stomach cancer. Liam re-joins the group during his brother's illness. Tom Clancy passes away November 7th at the age of 66. Liam stays on as a full time member of group. 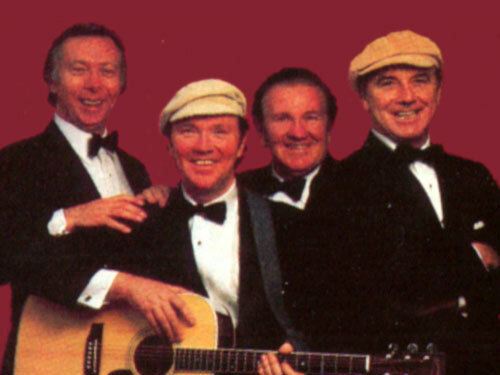 The Clancy Brothers and Robbie O'Connell make their first of 3 appearances on Regis and Kathy Lee. CBRO make their first of several annual Caribbean cruises for Irish Festival Cruises. 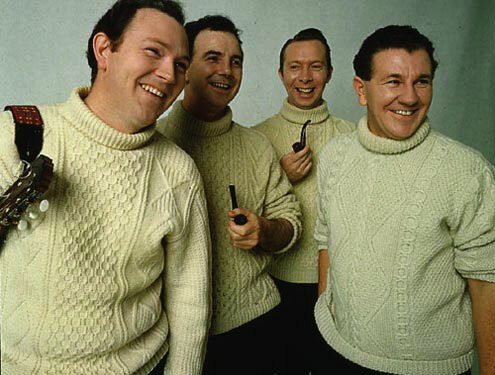 CBRO release Older But No Wiser, the Clancy Brothers first studio album in 22 years. Liam's son Dónal plays on CD. CBRO give "Farewell" Tours in American (in February) and Ireland (in March). A concert in Clonmel, County Tipperary is filmed and released as Farewell to Ireland. Bobby's son Finbarr joins the group (primarily on bass) on the Farewell video. Liam leaves again … The Last Hurrah! Liam leaves the group due to financial disputes with Paddy stemming The Irish Festival Cruises. Robbie O'Connell also leaves the group at this time. 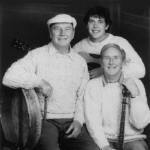 Paddy and Bobby carry on as "the Clancy Brothers" — they are joined on a full time basis by Bobby's son, Finbarr. Liam and Robbie initially tour as a duo, and then are joined by Dónal Clancy to form Clancy, O'Connell and Clancy. 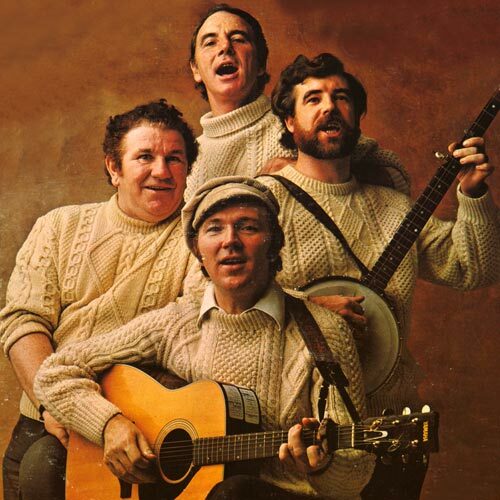 The Clancy Brothers add Eddie Dillon to the line-up. Paddy is diagnosed with brain & lung cancer. Paddy Clancy passes away on November 11th at the age of 76. "The Clancys and Eddie Dillon", (Bobby, Finbarr and Eddie) resume touring as trio. Clancy, O'Connell and Clancy amicably split up. The Clancys and Eddie Dillon release Clancy Sing-a-Long Songs. Bobby is diagnosed with pulmonary fibrosis. The entire performing Clancy Family sing together on one stage at 20th anniversary of Milwaukee Irish Festival — Liam, Bobby, Finbarr, Dónal and Aoife Clancy, Robbie O'Connell, with Eddie Dillon. This is the last time Bobby and Liam appeared together on stage. Once in A Lifetime: An Evening of Fine Irish Music, featuring 14 songs by The Clancys (Bobby, Finbarr, Aoife) & Eddie Dillon. This is Bobby Clancy's final "Clancys" recording. Bobby Clancy passes away on September 6th at the age of 75. In July, Live At The Bitter End New York - Liam Clancy & Friends is filmed at The Bitter End club in Greenwich Village, New York. The concert is specially staged and filmed before an invited audience with performances from, Odetta, Tom Paxton, Shane MacGowan and Gemma Hayes. 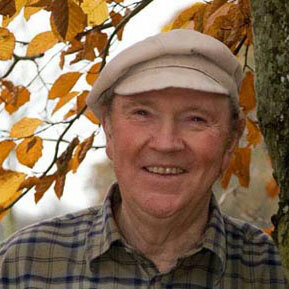 In February, The Yellow Bittern: the Life and Times of Liam Clancy is screened at the Dublin Film Festival. Louis (later Louisa Jo) Killen passed away on August 9th at the age of 79.